Literary Success: Twilight Part One. [Sigh] I know, the pictures are great, aren't they? A few short months ago, I set out on a mission: to rip Twilight apart at the seams, in hopes to discover the driving force behind this all encompassing novel. Admittedly, I haven’t done much ripping, but I have done a lot of reading. And what I’ve found is that many elements have made Twilight successful. Actually, a myriad of elements culminate together to form any great novel, and in this case, I am going show you the elements that, when seamlessly woven together, I believe, are responsible for making Twilight an international phenomenon. We, as readers and writers, have a common desire for the characters we often use as an escape method to feel real themselves—tangible, even—almost as if we could meet them at our local grocery store, mall, or walking down the street. Not only do we want our characters to be real, as of late, we’ve also come to want our authors to be real, too. Yes, you heard right. The days of authors endlessly toiling away behind the scenes, basking in the safety of their seventeen inch laptop screens and Word documents, and wandering about unnoticed by the public eye are, in fact, long gone. Some of you may be wondering, why it even matters and how this all exactly pertains to Stephenie Meyer and the Twilight Saga? You may even believe an author should be known only for his or her work and not for what takes place their personal lives. And, I completely agree, up to a point. First of all, authors shouldn’t be known just for their personal lives, but I believe it’s essential to know something about the faces behind our beloved stories. Because then, and only then, can we fully begin to understand and fall in love with the characters that grace the pages of their stories. Secondly, you’re wondering how this pertains to Stephenie Meyer and her saga? Well, I was just getting to that. In the beginning, after Ms. Meyer’s dreams had been answered and Twilight was published, Meyer set out to connect with her readers. She took the time to visit blogs, comment, and interact with her readers. To this day, you can still read the numerous correspondence letters Stephenie so kindly wrote to one of her first—now the largest— fan sites, Twilightlexicon.com. And that’s not it. 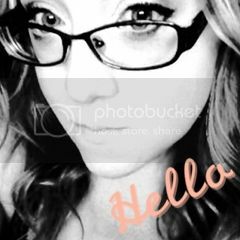 She loved communicating with her readers so much, she even, in the beginning of her career, naively posted her personal e-mail address on her website, on the grounds that she wanted to interact with her fans. In doing all of this, she was able to share her love for her novel and its characters, while humbly showing gratitude to her fans. Believe me when I say that the fans and readers ate this up. I know, because I’m one of the guilty parties. This unintentional self-promotion proved to be very effective. In my opinion, word of mouth is one of the most effective tools for promoting books. And, when you have a great book on your hands, and an author, who so willingly interacts with her readers, how could one resist in passing the word along? This interaction makes fans/readers feel that they are part of the phenomenon, and because of this connection, the fans/readers, in return, want to see the authors and their books succeed, which leads to more promotion. I’ve seen this type of promoting first hand, and not just of the Stephenie Meyer variety. Many authors nowadays are doing this kind of self-promoting. I’ve met several authors promoting their works like this, and because of the connection I have with them, I find myself going out of my way to promote their books, even though some of them won’t release until later this year. This is a very good thing for that author. I mean, what’s better than free promotion? Not only that, but when an author allows her fans and readers to get a glimpse of who they really are, we can’t help but to feel connected to them and to their work. Furthermore, we will feel a deeper connection to the book and the characters themselves. This, in the end, is what makes their characters jump off the page, grab our attention, and run away with it. Through the authors’ eyes, we can experience the characters they so painstakingly created. Characters that are so real to them, all of a sudden, become so real and indispensable to us, too. And what author or reader doesn’t want that? Hope you guys enjoyed reading my first theory of why Twilight was so successful. And, of course, I have many more. But you'll just have to wait to hear them (it's not like I'm trying to prolong my excuse to post Edward and Jacob pictures, though. Because I would never do that! Wink, wink ). Oh and if you have any thoughts or theories I would love to hear them. The characters: If they seem so real, why can’t I find Edward anywhere? Triple score! Edward and Jacob and Wolf boys OH MY! Very interesting!! I can totally see that the promoting and fan communication helped her early on, I mean, look how excited I got when Jennifer Hubbard, author of The Secret Year, responded to a comment I made on her blog. I was planning on checking out her book, but the personal communication made me want to support it that much more. So my copy is currently being shipped to me, along with Hush, Hush, and (here's proof that networking online works) Jennifer Shirk's The Role of a Lifetime (gotta support our fellow bloggers!). *ahem* Hush, Hush by Becca Fitzpatrick. I get excited everytime an author talks or responds to me. I feel like I'm talking with celebrities or something. I think your right. I think it's important for a writer to get close to her audience. I think even though we may love the story, we do know a lot about our favorite author whether they want us to or not. Good research. 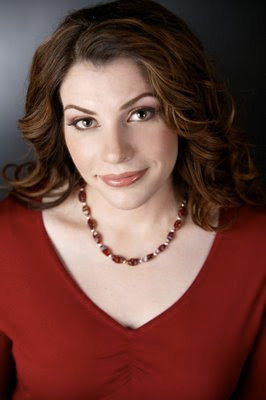 I agree: Stephenie Meyer is, first and foremost, a nice person, and who doesn't want to support nice people?! Obviously at this point it's just ridiculous to expect her to keep in touch with the VOLUME of fans that she has, but she still does a really nice job putting personal updates on her website (via her brother Seth). Yet another reason I don't like people bashing her. 'Cause more than many famous authors, she still seems very human. LOVE LOVE LOVE this post and it is totally in line with what I've been reading in my "Fire in Fiction" book! Basically the beginning is all about how to make your characters intriguing and down to earth...perfect characters do nothing for a book...it's the flaws and things we can relate to that draw us in! I love the parallel you've pointed out with the Twilight series! I think as aspiring authors it benefits us to look at these things and keep up with blogs, etc...not only for motivation and inspiration but for the craft of it all! Kristan - I agree, completely. Stephenie does seem very human and it annoys the crap out of me when people down her. So what if they don't like her writing. I don't like a lot of things and I don't bash others for it. But even after all the public scrutiny she goes through she still remains the same sweet girl that she was in the beginning. Great post, Kimberly! And yes, oh my on those wolf boys. Yum. That was really interesting--thanks! Unfortunately it's too early in the morning for me to come up with Twilight theories! I look forward to the rest of the series though. Elana - Yum is right! Jade - My mind never works early in the morning, either. So I know the feeling. Thanks for stopping by! If I can get published I don't care who stalks me. Well, maybe I do... but not really. I'd say your post, plus Eva's post, PLUS the cookie I just ate, will all combine for great dreams tonight! LOL. Victoria - First of all, I didn't realize I posted this twice. It's too early. I agree its important to interact with readers. Im glad she did and that its sort of the standard now bc I always thought, well yeah I'd totally want to talk to people who read my book and hear their thoughts and theories and likes and dislikes, Id be fascinated. And I had this idea that authors had to be very private and serious and now I know thats not the case, Thank God, bc if you've seen my blog you know Im anything but serious. Keep going? Are you going to look at the wish fulfillment in Twilight? Look carefully here--many people know yah yah wish fulfillment I get a hot boyfriend, but the wish fulfillment is on every page. Bella shows up to live alone with her dad (Electra complex wish fulfillment) and he gets a car! And she now doesn't have to buy one so she has extra money for clothes! And then she already read all of the books in her classes and wrote the essays! And everyone wants to be her friend! 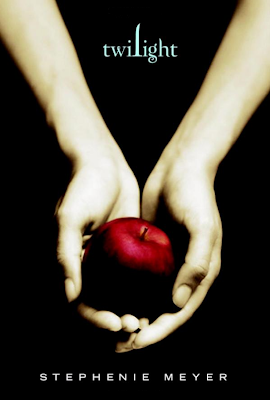 Its subtle in Twilight, but in one chapter, you get car, money, no homework, popularity and a mysterious boy to ponder---its heavier than most people think. Also check out my post at The First Novels Club on the way Meyer either consciously or unconsciously drew from Beauty and the Beast and Psyche and Eros.